With nearly half a million certifications issued, ISTQB® is a global leader in software testing methodology and certifications. 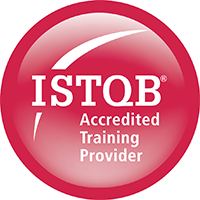 ISTQB certifications establish an international standard for software testing skills and offer certified individuals a clear career progression, from foundational to advanced certification. As an ISTQB Accredited Training Provider (ATO), Learning Tree can help you prepare for the ISTQB Certified Tester Foundation exam, so you can enhance your software testing credentials and prove your expertise. Very good team experience through the breakout room functionality. Easy to participate in and adapt to. The teacher was very good with the material. Most useful topics were types of testing and software development life cycles.